CHICAGO (WLS) -- Fall may have just arrived, but the staff at Macy's on State Street is looking ahead to the holidays. Macy's staffers on Tuesday decorating the 45-foot Christmas tree that will stand in the Walnut Room. The tree will be covered with more than 2,000 ornaments and 6,000 lights. 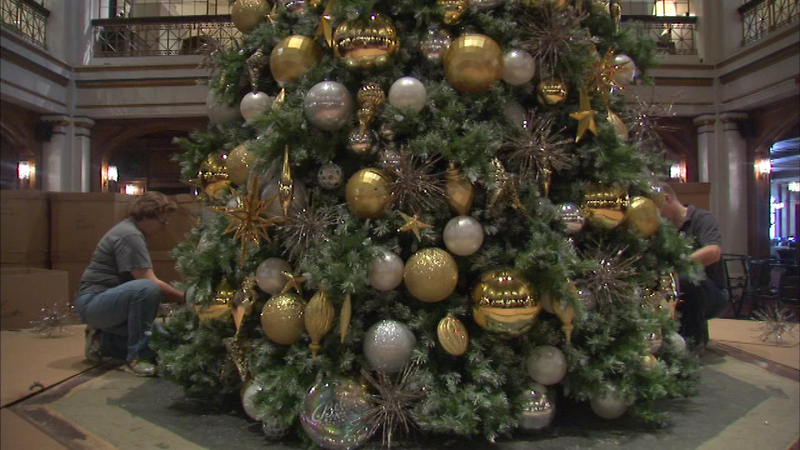 The tree has been a holiday tradition in downtown Chicago for 108 years.